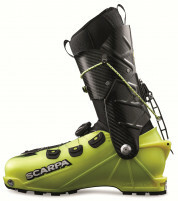 The World Cup Aero Pack is Ski Trab's lightest race pack, designed as a minimalist system to shave weight. Despite that constraint, the form fitting pack is actually featureful enough to tour with on those farther and faster days with a ski carry system, external skin pocket, and a comfort elastic shoulder system. The pack is designed to fit very closely to your shoulders so it doesn't slop around while you're racing and keeps you aerodynamic. 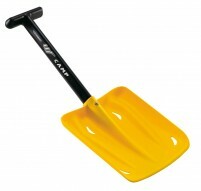 As such it comes in two sizes, with the larger size appropriate for those over approximately 5' 10" or 155 lbs. The shoulder straps are elastic instead of adjustable with buckles, and there is some thin webbing with an adjustable buckle to secure it to your waist. 15 liter (915 cubic inches) capacity is enough for your safety gear and essentials for the day. Ski carry loop with a hook on the right shoulder strap can be used while the pack is on your back (fits tails up to ~100mm). Big stash pouch across your lower back with an adjustable elastic cinch for skins or other items you want to grab in a hurry. Special headlamp or security pocket on top so you don't fumble around in the dark. The pack has been whitelisted by the ISMF so you know it's legit for those sanctioned rando races. Update 2018/19: The WC Aero pack was replaced by a new version. Definitely the worst pack ever. Most of the materials have de-laminated. Yesterday, the bottom ski retention loop pulled out and while I was trying to figure out an alternate method to carry my skis 3 people passed me and I was not able to catch them again. Is the backpack (you have in stock) the same color combination as the one in the picture or is it a newer version (2015) in black, blue and yellow? Hi Peter, the stock ones are the previous color. New colors should be coming in this month. Overall: Four Stars for a skimo race pack that would be amazing were it not for the superior competition from CAMP and Dynafit. Background on product familiarity: I bought the Trab pack but was rather underwhelmed by it at first, so I gave it to a buddy. First, the first impressions out of the box: The weight is competitive, but at the expense of reduced carrying capacity. 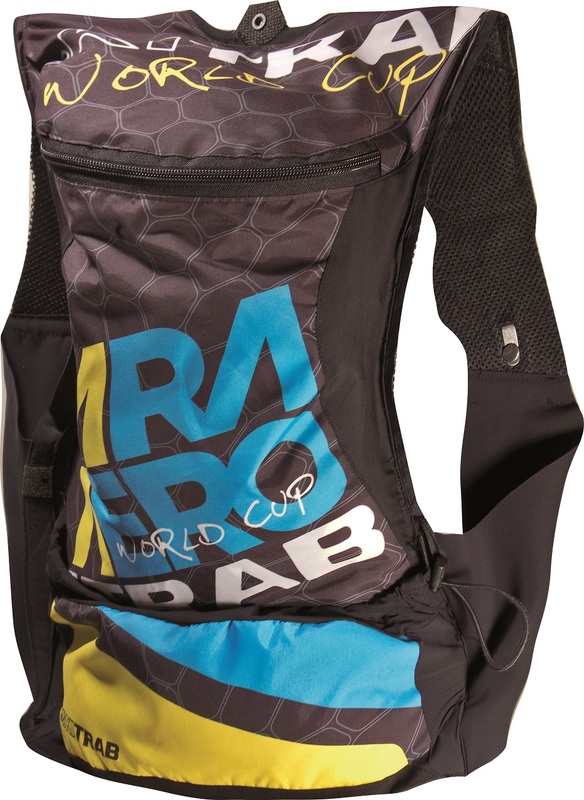 Plus instead of a sealed side-access lower compartment, the Trab’s separate lower compartment has only an elastic closure in the rear, kind of like on bike jerseys (except one big pocket, as opposed to three). Second impressions, in use: The separate rare compartment is harder to access while wearing the pack (at least for me and my buddy). Otherwise, the pack’s features work fine, although there really aren’t all that many. Third impressions, for long-term durability: My buddy has had to repair some elements of the quick-attach ski carry, but nothing really dire or structural. 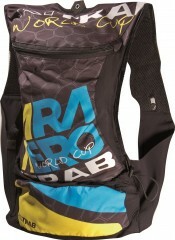 I've used this pack all season for racing and training ... it's held up great! After heavy use the fabric is beginning to separate a little bit but is not affecting the performance of the pack. The fit is more like a vest than a pack - there is no adjustment for the shoulder straps so it's important to get the correct size. The ski attachment is meant for race skis so if you have wider skis you'll need to do an easy mod to the loop in order to accommodate your skis. It's not a B/C pack but is a tight fitting high performance race/speed ascent pack.